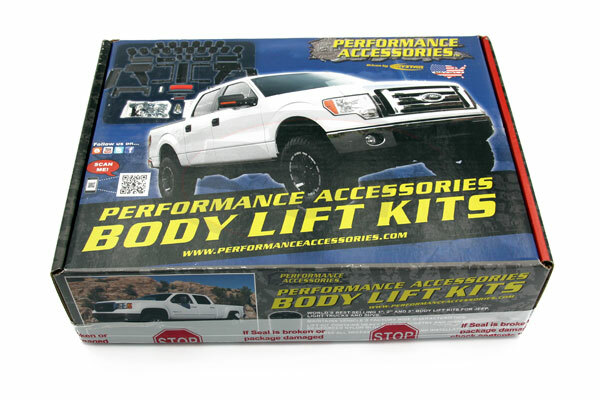 Fits 2WD and 4WD models with 5.0L or 5.4L V8 Motor Only. 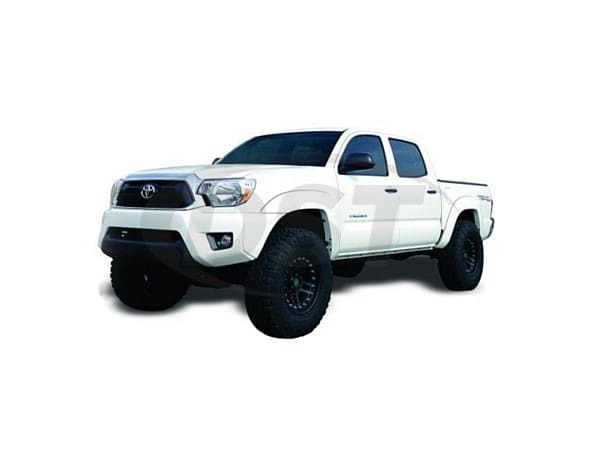 Performance Accessories introduces a 2.5 inch front strut extension and 1 inch rear lift for Toyota Tacoma pickups that levels the front-to-rear stance of the vehicle. 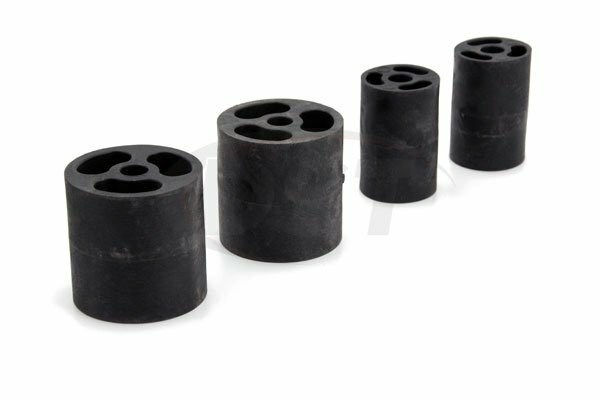 TL231PA features a heavy-duty pair of one-piece 1/4 inch thick front leveling spacers that are laser cut and precision welded to ensure the highest quality and fitment. 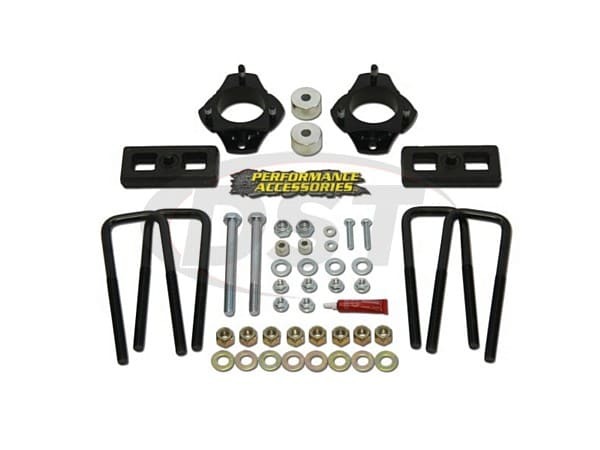 The kit also includes 1 inch cast steel rear lift blocks with U-bolts; machined front differential skid plate spacers; and high strength hardware. Installation will allow the vehicle to run up to a 32 inch diameter tire. This system works without a coil spring compressor.